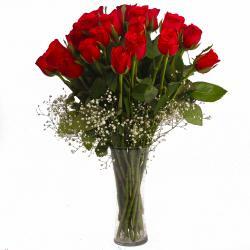 Product Consist : 20 Stem of Roses in White and Red Color with green fillers in Tissue Paper Wrapping with Ribbon Bow on it. 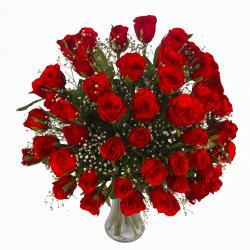 The gift item is a bunch of twenty roses. The bunch is neatly tissue wrapped and bow tied with a ribbon. 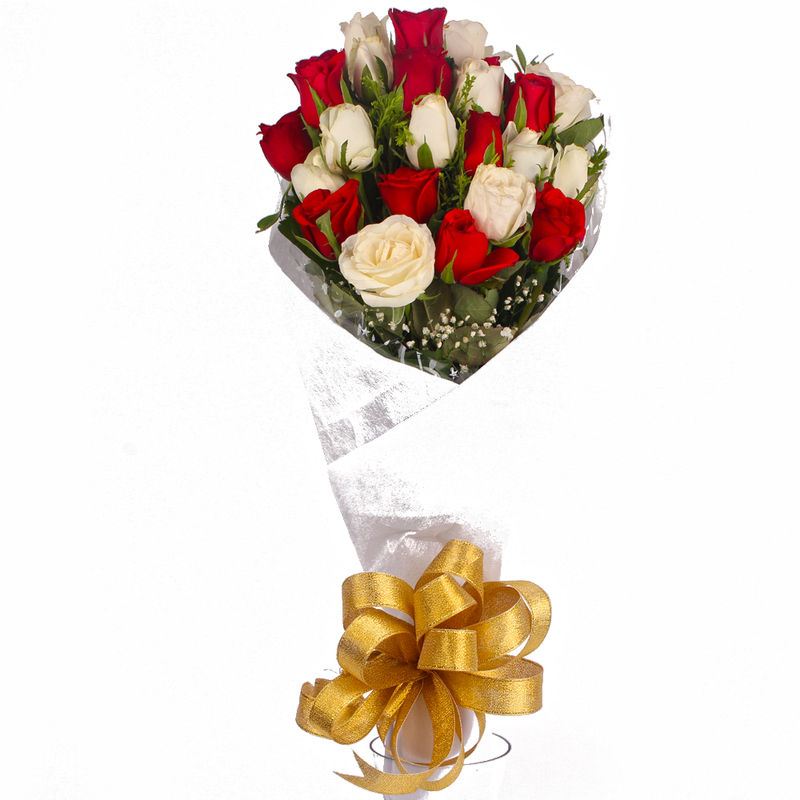 The bunch contains red and white roses are said to portray innocence, purity and cheerfulness. 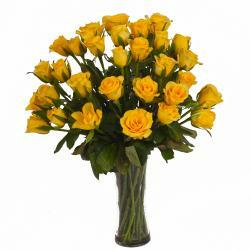 Elate your special someone by gifting this amazing bunch of roses flowers are used to depict your emotions to the one you love. 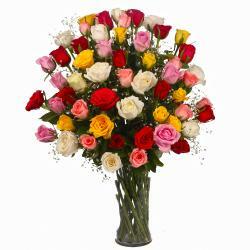 On this Christmas, Valentines Day, Birthday, Anniversary, Congratulations, Karwa Chauth, Republic Day let the flowers speak the words you cannot express. 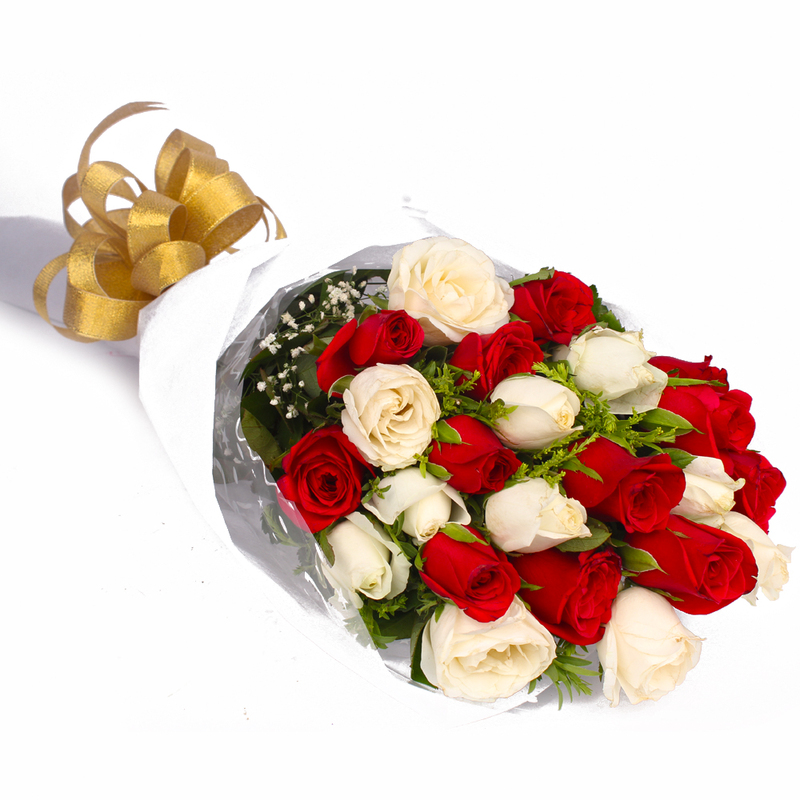 Product contains : 20 Stem of Roses in White and Red Color with green fillers in Tissue Paper Wrapping with Ribbon Bow on it.